Seasonal emails tend to be heavily promotional. They are overloaded with product shots, discounts, and deadlines. By the time the big day arrives, email fatigue has set in. Subscribers want to simply enjoy the holiday before moving on to the next. Companies have to make sales to survive. Marketers charged with delivering revenue try to squeeze every possible cent out of subscribers before the clock strikes midnight on the seasonal opportunity. 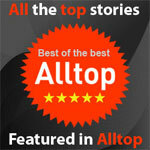 Deeper discounts and last minute offers are standard operating procedure. In an inbox filled with messages screaming “sale” and “buy now before it’s too late,” A.C. Moore’s Halloween email was a breath of fresh air. 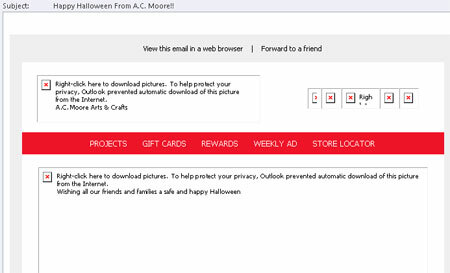 The postcard style email had a simple subject line, “Happy Halloween from A.C. Moore! 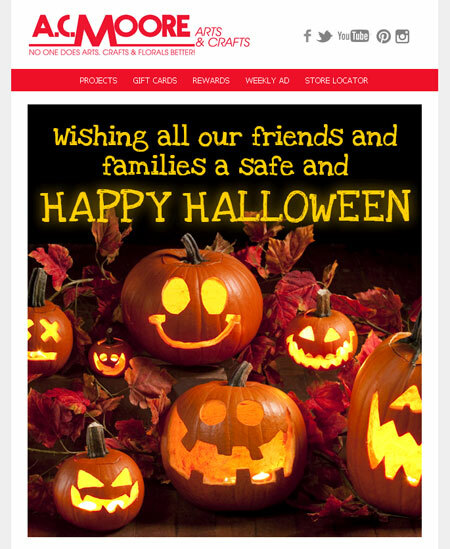 !” The copy in the message reads, “Wishing all our friends and family a safe and HAPPY HALLOWEEN!” There are no discounts, highlighted call to actions, or buy now demands. 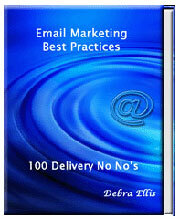 Every email needs a clear primary objective. Customer retention is a great objective and A.C. Moore executes beautifully. The message tells people they are valued, breaks the monotony that comes with promotional messages overload, and follows technical best practices. Recipients get the jest of the message without downloading pictures. Failing to properly tag images is one of the technical details that should never be missed. Using background color and text whenever possible is another. Horchow uses images for the navigation bar. A. C. Moore uses coding to create the bar so it is visible without downloading the images. Plan around one primary objective – A clear objective streamlines the creation process and makes success easier to measure. It also provides an easy decision process for the recipients. 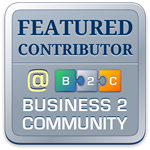 Mix it up – Sending one promotional email after another makes people immune to the marketing message. Add retention, educational, and service emails to keep subscribers engaged and opening your emails. Optimize your emails – You have seconds to convince someone to open your emails. 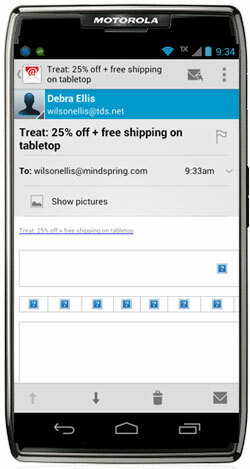 Use every technical option to present your message in the best viewing mode for recipients. Tag – Tag every image with messages that speak to people and search bots. Use good keywords in conversational style. Color and text – Use background color and text to create navigation bars and call to action buttons instead of images. People will be able to see them even if their automatic download is turned off. 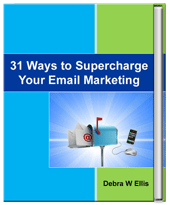 For tips on how to optimize emails, check out 31 Ways to Supercharge Your Email Marketing. Excellent post Debra, you’ve included strong tips that seem like the basics, however it’s surprising how many people don’t do these things! 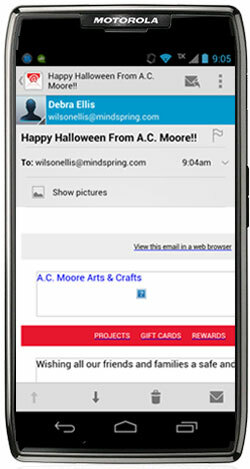 Email marketing is an extremely powerful communication tool – occasional good wishes or non selling items really make a difference if thy add value or show appreciation for customers. Thank you Mila. 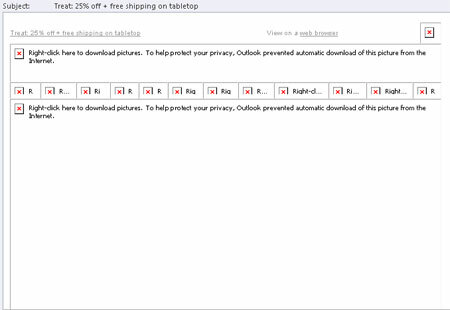 The failure of big brands to optimize their email messages surprises me the most.